With over 35 years of experience in providing HVAC & Electrical service, we treat our customers how we would want to be treated. As a family-owned & operated company, we take the time and care to make sure even the tiniest detail is managed. To us there is no other way! 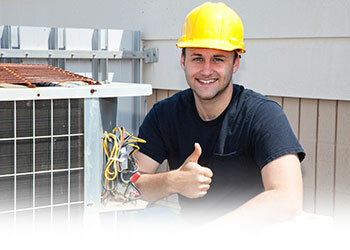 Tampa AC Repairs – Fast and Reliable Service! If you are searching for a dependable Tampa AC Repairs company in Tampa, then Air Stream is the right company for you! At Air Stream, we specialize in all matters related to cooling and heating your home. Not only do we fix problems with air conditioners, but we also sell and install brand new, high efficiency units. Whether you need a new air conditioner or are searching for professional repair services for an older model, we can help you out. If you purchase a new air conditioner from Air Stream, you never have to worry about installation. Our team’s licensed electrician is on site to meet your installation needs, tackling duties such as wiring inspecting and wiring your new air conditioning unit to your electric panel and making sure everything is done according to building code. 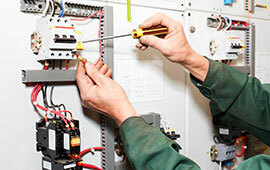 We also offer electrical services for any of your needs. From electrical outlets to complete home wiring are highly qualified electricians are ready to take care of any of your electrical needs. When it comes to air conditioning, we can help you find the best model for you, install them, and fix them if they ever break. 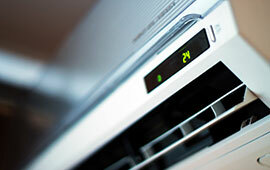 We teach you how to make better decisions to enhance the life of your air conditioner. Our customer service, paired with our prices make choosing us at Air Stream a positive experience. If you have any problems with your HVAC system, don’t be afraid to pick up the phone! Our business has been happily serving the Tampa Bay area since 1979. If you’re in need of A+ customer service, Air Stream is to help. Give us a call today! We have provided a link to the Florida Department of Business Professionals for your convenience, you can click on our license number to see our license. Our Services Residential and Commercial A/C Sales, Service and Installations! Our goal is to educate our customers to help them make better decisions regarding the care and service of their equipment. Please give us a call if you have any of these HVAC/Electrical problems in your home or need a quote for new installation. Need your AC repaired in the Tampa Bay Area we can dispatch a Tech immediately . 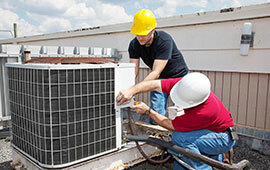 . .
Our Technicians can handle all of your Commercial HVAC needs. There is no job too big . . .
We have years of experience! Let our licensed electricians install your electrical projects . . .